Keith Ferrazzi transformed professional networking with his bestselling book Never Eat Alone, which shared the secret of his impressive climb to the top: powerful marketing acumen, deep generosity, and a remarkable ability to connect with others. Never Eat Alone has been recognized by Forbes as one of "the best business books" every year since 2005. Both Forbes and Inc. have called him "one of the world's most connected individuals." As founder and CEO of the business consulting firm Ferrazzi Greenlight, Ferrazzi counsels the world's top enterprises on how to dramatically accelerate the development of business relationships to drive sales, spark innovation, and create team cohesion. As a thought leader and advocate for corporate citizenship, he has rallied executives around initiatives to improve healthcare and education nationwide. His annual Big Task Weekend event brings together key executives from companies such as Kaiser Permanente, Safeway, and Mars to draft innovative partnerships to improve American health and wellness. Ferrazzi is a frequent contributor to CNN and CNBC. He has authored numerous articles for leading business and consumer publications, including Forbes, Inc., Fast Company, The Wall Street Journal, the Harvard Business Review, and Reader's Digest. He has been named a "Global Leader of Tomorrow" by the World Economic Forum and one of the most creative Americans in Richard Wurman's Who's Really Who. Ferrazzi's extraordinary rise to prominence has even inspired a Stanford Business School case study. Ferrazzi was previously Chief Marketing Officer at Starwood Hotels, where he oversaw marketing activities for global brands including Sheraton, Westin, The Luxury Collection, St. Regis, and W Hotels. Ferrazzi also served as Chief Marketing Officer for Deloitte Consulting, a leading global management consulting firm, where he developed and managed the industry's first globally integrated marketing organization. His creative strategy drove Deloitte's "Consulting" brand recognition from the lowest in the industry to a top spot, spurring the highest featured growth rate in the industry. Ferrazzi serves on the Yale University Board of Alumni Governors and the Board of Trustees of the Kiski School, and is also a Fellow of the Berkeley College at Yale. Ferrazzi's interests also include an examination of the relationship between leadership success and spirituality. Give your associates a strong sense of security and purpose in unstable times with Keith Ferrazzi's Who's Got Your Back keynote. His message: Everything we need to succeed is in our grasp. It's the people around us. Not just family and friends - the people we work with. In a time of cutbacks and layoffs, your organization needs this message more than ever to bond together, build resolve, and emerge from the crisis even stronger. Creating deep community bonds among employees, what Ferrazzi calls "lifeline relationships," is an incredibly effective instrument for continuing change and growth in the workplace - the kind that translates to bottom-line impact. Ferrazzi presents a vital lesson for leaders: by increasing engagement among their teams, they'll enhance productivity, innovation, and growth. Research tells us that strong socials bonds drive high-performance teams, and that employee engagement - highly correlated with the depth of workplace relationships in Gallup studies - has direct impact on both revenue and profitability. The problem is, individuals often lack the skills, and the permission, to tap their work-based support structure. 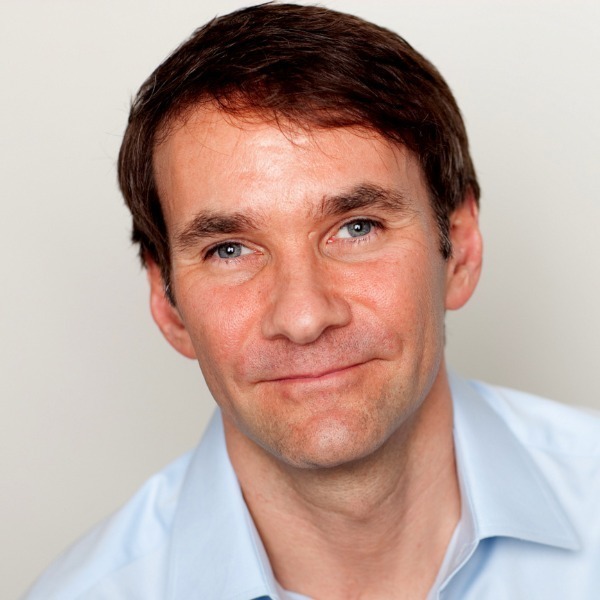 While serving corporate leadership teams, sales forces, and other organizations, Ferrazzi developed the mind-sets and the methodology to do exactly that. This creates the foundation for two powerful tools for workplace excellence: candor and accountability, the keys to identifying problems, developing creative solutions, and then sticking to plans for follow through. a process to identify and strengthen bonds with lifeline candidates - those who have the potential to "get it and care"
This keynote resonates throughout an organization for months to come - particularly when supported by the book as a resource. Your employees will have the tools and the motivation they need to enact the program for lasting impact on the vitality of your organization. Associations need to have their members' backs! The very purpose of an association is to build valuable community among a group of individuals who share similar business objectives, missions, and interests. Doesn't matter if it's heads of hospitals or high?? ?tech chief information officers - whatever the association, building community is its bread and butter. That's why associations rightly invest a lot of time and money in conferences that are supposed to create strong connections that boost business and professionalism down the line. Trouble is, here's what traditional events look like: people sitting in rows of chairs, watching somebody talk at them from the front. Afterwards, a session where everybody's told to "network," a word that gets people perspiring immediately. After some awkward, shy interaction, maybe some business card exchanges, everyone goes home and collapses, feeling like after all that dull action they need some serious couch time. Do they follow up on those business cards? Were any true connections made? Probably not, and that was fine in the old economy. Today, it doesn't cut it. If we're going to spend time and money on an event, we've got to offer more - people need more. So here's what a Keith Ferrazzi event looks like: Those neat rows of chairs quickly get pushed out of place to accommodate new relationships created thanks to Keith's facilitation right there in the room. Keith's signature enthusiasm kicks things off, but soon the roar of the crowd makes it difficult for him to be heard. People are smiling, shaking hands, thrilled to get deeper with new associates in a safe, comfortable environment. The word "networking" is a thousand miles away, yet real connections - sustainable connections - are being made right and left. Keith Ferrazzi has been working closely with associations ever since the publication of Never Eat Alone. They quickly discovered that no one could heat up a room and get people interacting more powerfully than he could. Ferrazzi Greenlight has created a formula that significantly boosts renewal rates because participants continue to realize the value of the event year round. First, we realized that conferences are most successful when people come prepared. Our solution was "Conference Commando," a PDF ebook that gives people a practical and tactical set of directions on how to take advantage of the opportunities for personal and professional growth at their event. A week before the event, attendees receive the ebook along with a personalized email from Keith. But the real magic occurs at the conference itself. Keith kicks off the event with an inspiring keynote that includes built?? ?in audience interaction: Conference members are organized into "Greenlight Groups" of three who partner during the entire conference, with built?? ?in exercises to form mutual bonds. Keith assigns them the task of having each other's backs - helping each other find ways to be successful at the event. Together, they go to cocktail parties and network; they serve as an extra set of eyes and ears for each other, looking to help each other make desirable connections. What are yours past and present struggles? Not only do these groups make commitments to help each other at the conference, they also commit to helping make each other's careers and individual initiatives more successful in the weeks and months that follow. The relationships created during Keith's keynote transform the entire event. Attendees are instructed to get in touch with their new mutual support group a week later to give an update on how they're moving forward in their goals. Ferrazzi Greenlight emails out a reminder to spur the discussion, but in our experience, participants are so fired up they don't need much of a push! This exciting, uniquely effective model unleashes the real power of any event - the people sitting in those seats. Best of all, it creates structured sustainability. Weeks after your conference, the event is still ongoing! Associations supercharge their membership by leveraging Ferrazzi Greenlight's time?? ?tested formula for relationship building and peer???to?? ?peer engagement ?????? no other keynote speaker can offer that kind of value. Salespeople face the hard realitythat more and more of their products and services are faster and faster becoming commoditiesin today's competitive marketplace. In this environment, the one lasting strategy for consistently growing revenueis to proactively buildgenuine, lasting relationships with clients. Buildingconnections and contacts is absolutely vitalto creating revenue success and growth. Relationships for Revenue Growthhelps bridge the gapfor salespeople who find it difficult to balancethe desirable and necessary challenge of expanding and deepening connections with the time and energyrequired to do so. A group's success fundamentally depends upon how its individual members work together. Individuals work more effectively and enjoy their work more when they have genuine personal relationships with their colleagues. Relationships for Group Success helps participants to stop seeing colleagues merely as vice presidents or lower-level managers and to start seeing them as humanbeings. This keynote is great for resolving common problemsthat arise from cross-functional collaboration and geographic separation. And more that will lead to increasing employee retentionand shareholder value. Managing in a Matrix Environment fosters cross-organizational functionality, productivity, and success. Breaking down silos increases participants' ability to lead teams and collaborate together in today's ever-changing, matrix-driven organizations. Deeper internal relationships bust silos, because people adopt a greater level of transparency while simultaneously holding each other accountable for measurable results. Learn to foster a spirit of cooperation that can make it easier to achieve both customer satisfaction and corporate goals. Leading in the Grey Zone concentrates on building key skills that enable leaders to lead during times of uncertainty. Successful leaders are able to motivate and inspire their teams during times of change. Often times, leading through times of change means confronting ambiguity, finding creative solutions in unexpected places, and helping your team deliver in an uncertain environment. This keynote is about effectively connecting people and successfully building teams. Engender trust and develop genuine connections with others. Define your values and leadership principles. Lead with passion and purpose. Empower others. Find joy in integrating your personal and professional lives. Turning a Down Market into an Opportunity for Greater Loyalty and Deeper Relationships: Mutual Support for Mutual Success - A seismic shift is under way. Our society is moving from an economy driven by large, top-down institutions to an economy driven by passionate individuals, empowered by technology, quickly coming together to form ad hoc tribes capable of tackling all kinds of projects. Everywhere you look, you can see groups coalescing around shared interests - working together, effecting change, taking action. From administrative assistants to CEO's, we all need a trusted team. We need to create lifeline relationships with people who offer guidance, encouragement and accountability. This talk focuses on the necessity of forming deep bonds with a few key people who provide candid feedback and support to guide our day-to-day actions and fulfill our long-term goals.